For such a small country, there is an incredibly amount of diversity on the Danish jazz scene and new names and albums pop up all the time while experiments are made with forms and genres. 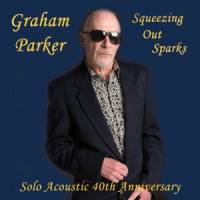 The following four releases cover everything from diverse singer/songwriter vocal jazz to a modern saxophone trio, grand orchestral jazz and a meeting between jazz and electronica. There is a great tradition of vocal jazz in Denmark. Singers like Cecilie Norby and Sinne Eeg are getting noticed around the world and new talents are coming all the time. 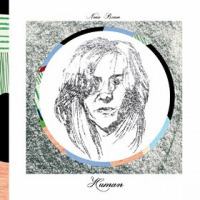 One of them is Nina Baun Jeppesen and Human, her second album, is a both ambitious and subdued album. The cover sports hand-drawn sketches of the singer and her fellow musicians and in the same way, the album tries to sketch a portrait of the complex emotional landscape of the human heart and mind, but it is not always easy. As Baun sings on "Twisted," a song about the unpredictable ways of human thought and behavior, "Lay out the pieces / Look real hard / Nothing makes any sense / Things just are / They just are." Without any prejudice, Baun bravefully explores the contradictions of humans in finely crafted songs with elements of jazz, pop, blue-eyed soul and world music. 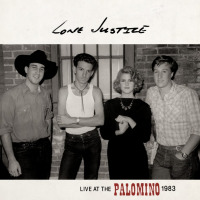 Her band, which includes the tasteful drummer RJ Miller, is top-notch and the soft Brazilian breeze of "Life's Wiser" is simply irresistible and makes sure the album ends on a pleasant note. Here, the singer finally makes peace with the contradictions in life, as she sings: "I'll trust life to be wiser than me." 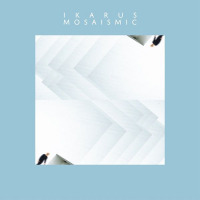 Those people looking for modern and/or experimental Danish jazz have discovered that ILK and Barefoot Records are the places to go. However, in the typical do-it-yourself spirit of the scene, there are also numerous self-published releases around. One of them is by the saxophonist Henrik Pultz Melbye whose trio delivers a program of searching music. "Ud over stepperne" starts with a soliloquy from Pultz Melbye, with the saxophonist singing and honking to announce the arrival of his companions, bassist Casper Nyvang Rask and drummer Anders Vestergaard. 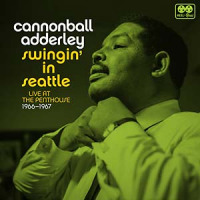 They engage in some abstract noodling before settling into a bouncing, swinging feel. Pultz Melbye has played with the saxophonist Jesper Zeuthen and, at times, there are reminders of Zeuthen's strange folk songs, with his singing, vibrating tone. Clearly, these three musicians enjoy playing and "Halli Hallo" takes the Calypso-inspiration from Sonny Rollins and filters it through a strange brew of sounds. 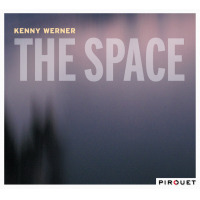 Overall, the album is a successful meeting between the jazz tradition and a search for new forms of expression. 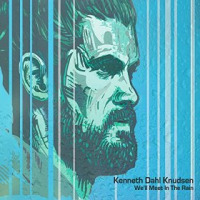 While it is possible to examine different textures in a small setting, a big band is perhaps the ultimate way of exploring textures and colors and this is exactly what bassist and composer Kenneth Dahl Knudsen does on We'll Meet in the Rain, a bold musical statement with orchestral sweeps. Dahl Knudsen uses the extended palette of sound from a big band that also includes a string section to create musical stories where the soaring wordless voice of marie seferian has a prominent role. She becomes an integrated part of the dramaturgy on pieces such as "Krig og Kærlighed" and "The Camera Man." At heart, Dahl Knudsen is a melodic writer who understands how to make music swing and sing, but he also creates varied musical landscapes and stories where different moods appear. For instance, "Dapo" is a funkified piece with flutes that turns into a swinging jazz tune with walking bass and a McCoy Tyner-esque solo from pianist Uri Gincel, but later it returns to its funky incarnation and it also includes elaborate big band charts. We'll Meet in the Rain is released on the promising new English label, Two Rivers, and it is suitable that one of its first releases has music that flows in many different directions without losing a sense of narrative and emotional communication. 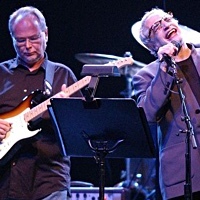 The full-bodied, warm tone of bassist Jesper Thorn has been heard in different constellations, including groups with pianist August Rosenbaum, Danish poet Søren Ulrik Thomsen and saxophonist Bob Rockwell. Big Bodies of Water is the album from Thorn's own project where flugelhorn-player Tobias Wiklund, pianist Marc Méan and electronic musician Mads Emil Nielsen help to shape the delicate sound of the album. 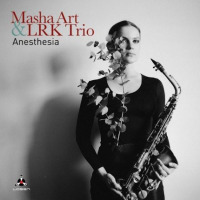 With the exception of "Raindeer," written by Méan, all the compositions have been penned by Thorn and the result is an atmospheric collection of modern chamber jazz. The title encapsulates a brand of music that is both tactile and yet ethereal, like a body swimming in water. Impressionistic melodies evolve throughout the album as the accents on the instruments change from crackling and hazy electronics to the pure sound of Wiklund's flugelhorn. 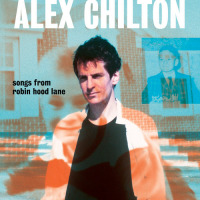 Thorn is able to build a rusty wall of sound with his cello on "Fine" where Mads Emil Nielsen makes electronic sounds that emulate a train that passes by, but Thorn also shows his signature organic sound on the bass on the beautiful "Wobble," with Méan's subtle lyricism that has elements of pianist Jan Johansson and classical composer Claude Debussy. 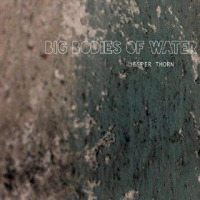 In its own quiet way, Big Bodies of Water is a significant statement from Jesper Thorn. The album has a subtle kind of weathered musical poetry and shows the bassist as a sound painter with attention to the tiniest details. Tracks: Wave of evergreen; No plans. Don't ask; Twisted; Older than I; Cohabitant; Implosive; Stereo; Tucked away; Life's wiser. Personnel: Nina Baun: vocals, kalimba; Frederick Menzies; tenor and soprano saxophone, clarinet, vibraphone; Jacob Christoffersen: piano, würlitzer, organ; Thomas Fonnesbaek; bass; RJ Miller: drums; Victor Dybbroe: percussion; Søren Baun & Nina Aagaard Sibbesen: backing vocals. Tracks: Dagliglivets oase; Ud over stepperne; Bal; Mitä; Tungt; Halli Hallo; Marskandiser. 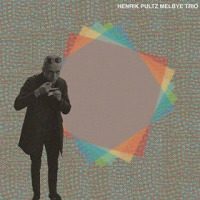 Personnel: Henrik Pultz Melbye: saxophone; Casper Nyvang: bass; Anders Vestergaard: drums. Tracks: Light Unfolds; Krig og Kærlighed; Dapo; The Camera Man; A Merry Song; Mettelody; Victoria's World; We'll Meet in the Rain; Tucked In. Personnel: Malte Schiller: conductor; Marie Séférian: vocal; Linda Jozefowski: flute; Roman Ott: alto saxophone; Markus Ehrlich: tenor saxopne; Viktor Wolf: tenor saxophone; Lou Lecaudey: trombone; Nils Marquardt: trombone; Tomasz Dąbrowski: trumpet; Magnus Oseth: trumpet; Fritz Moshammer: trumpet; Daniel Weltlinger: violin; Héloïse Lefebvre: violin; Sebastian Peszko: viola; Liron Yariv: cello; Sebastian Böhlen: guitar; Uri Gincel: piano; Mathias Ruppnig: drums; Kenneth Dahl Knudsen: bass. Tracks: Prae//Entré//B.O.L.O; The Steppe; Jump Into//Big Bodies of Water; HalfSpeed//FullSpeedAhead; Wobble; Suburbia; Raindeer. Personnel: Jesper Thorn: bass, cello; Tobias Wiklund: flugel horn, Marc Méan: piano; Mads Emil Nielsen: electronics.